Large size Holly with red berry insert for ceramic Christmas trees. The package is 20 count of your choice of color. Choices are: aqua, blue, clear, gold, green, orange, pink, purple, red. STEM is 1/2" L x 3/16" Dia. Red berry sets inside holly. This large Holly light is normally used on trees that measure 14 inch tall or taller, this height includes the base and tree section. The appropriate size opening is required for use. 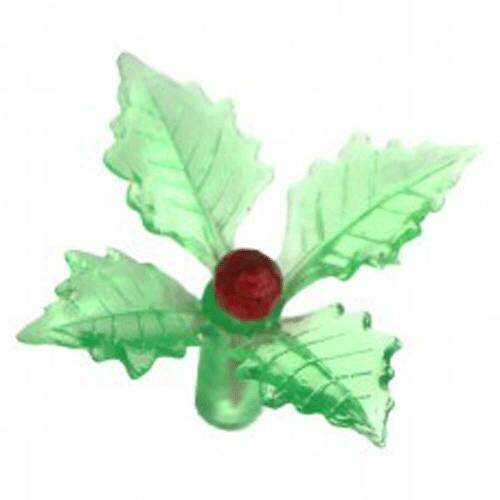 Holly lights with a red berry ornament lights are carefully molded with crisp detail. 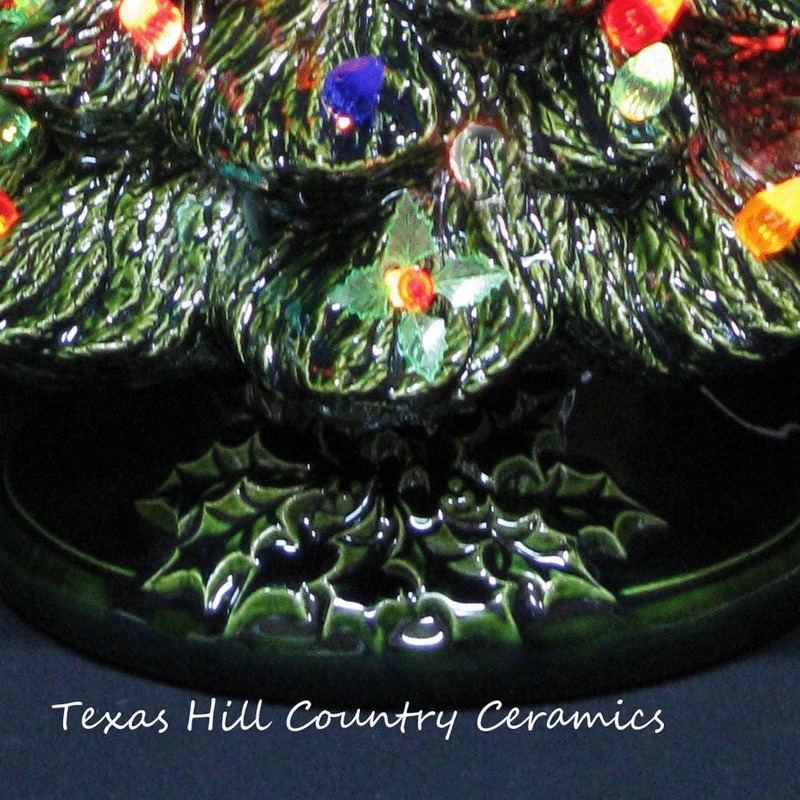 The transparent virgin plastic provides a classic look to ceramic Christmas trees, or any craft project. This items ships in a small box for maximum protection. These are a great addition to my tree. They arrived quickly and well packaged. Thanks!